The day went slowly but it's already Thursday so no problem. Day spent at college, studying and going to classes. 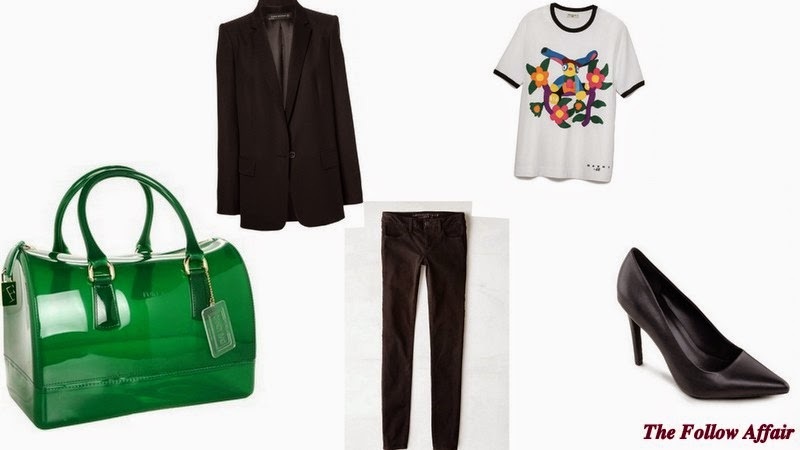 Today my Marni for H&M t-shirt went for a walk, I love it for the bright colors, since I usually wear it with black, makes an awesome state.